Congratulations January Prize Winner! The January Winner Picks a Prize Giveaway was a big success! Mahalo to everyone that entered. And if you didn’t win, don’t worry. There is a February Winner Picks a Prize Giveaway happening right now. But hurry. You only have 3 days left to enter! 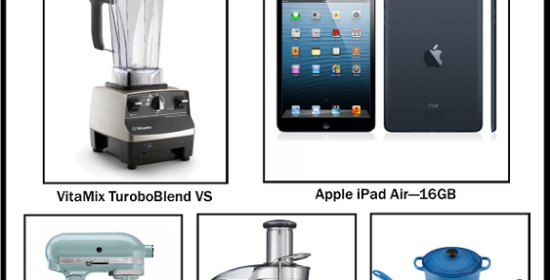 And choose from 1 of 5 awesome prizes when you win! Holly won the January 2014 Winner Picks a Prize Giveaway! 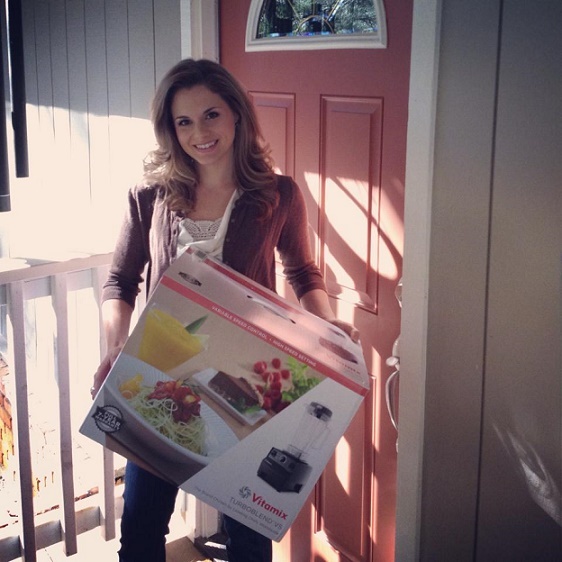 She chose the VitaMix TurboBlend VS as her prize. 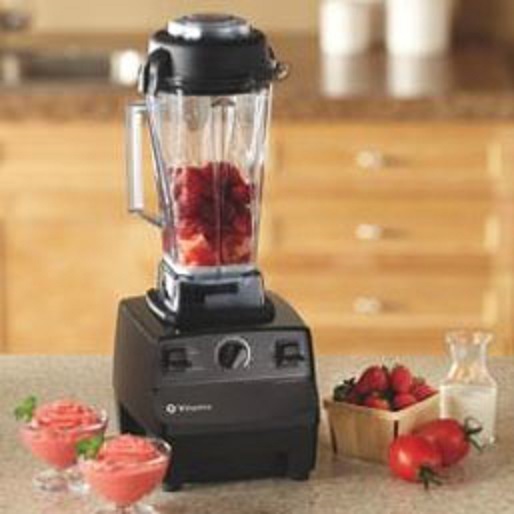 Here she is pictured below with her new VitaMix. Organic Eats Magazine is a free monthly online publication full of clean whole food recipes. And watch your inbox for our new monthly prize giveaways for your chance to win! As voted for on the Organic Eats Magazine FaceBook page, the monthly giveaway winner chooses 1 of 5 awesome prizes! If you have a prize suggestion, we’d love to hear it. Please leave your comment on this post. Thank-you for subscribing and good luck in the upcoming giveaway starting on March 15th!